Hi my friends! Just a very short 'hello' on the go as I am on the way to Hamburg for a blogger event. I will be bed testing for a bed manufacturer with a few fellow bloggers in the north German metropolis and I will enjoy a bit of the maritime flavor of the city of Hamburg. If you like to see me 'bed hopping' (in a not so saucy way LOL) and a few snapshots of this beautiful German city, follow me on Instagram HERE. 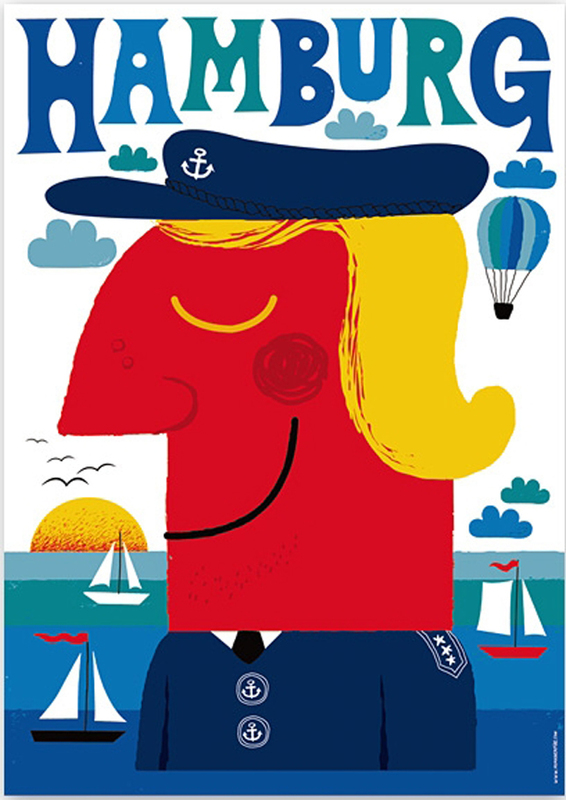 See you back on Monday & 'ahoy' from Hamburg! I am (still) living in an apartment with all white walls. Still. I have intentions to change that soon. 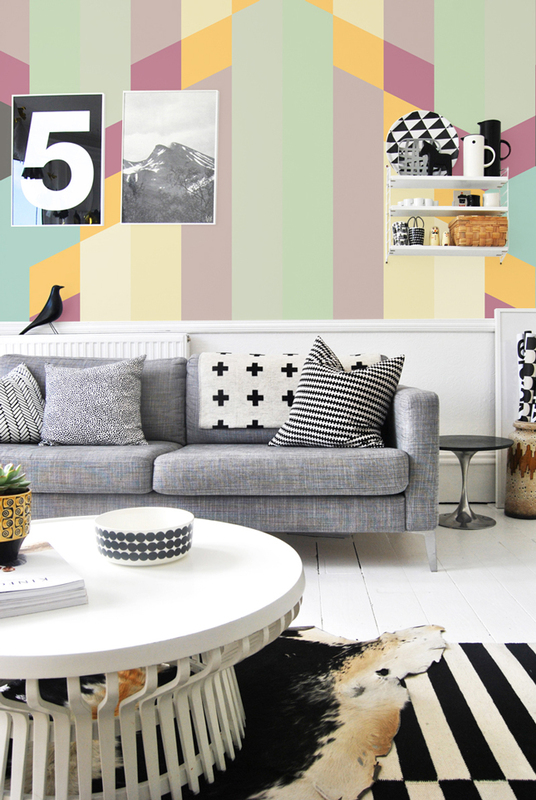 One option to spice up a happy home is - for example - a feature wall. 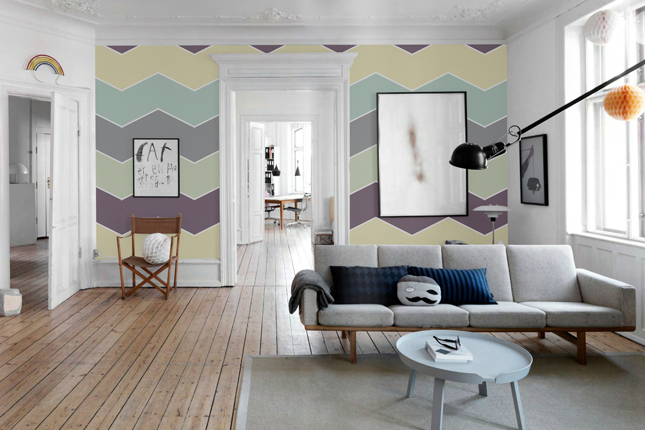 This could be achieved either by painting only one wall or by wallpapering it. 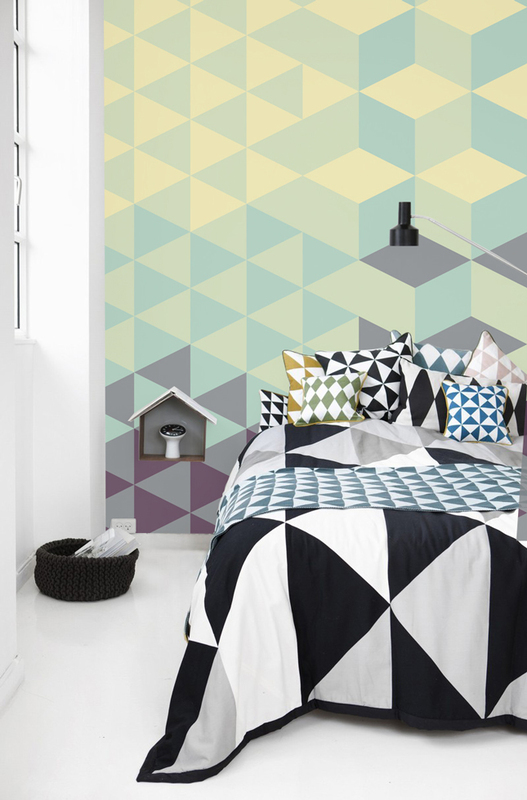 Even though 'wallpapering' tends to sound a bit scary like 'lots of work, permanent, prone to quality mistakes, etc. 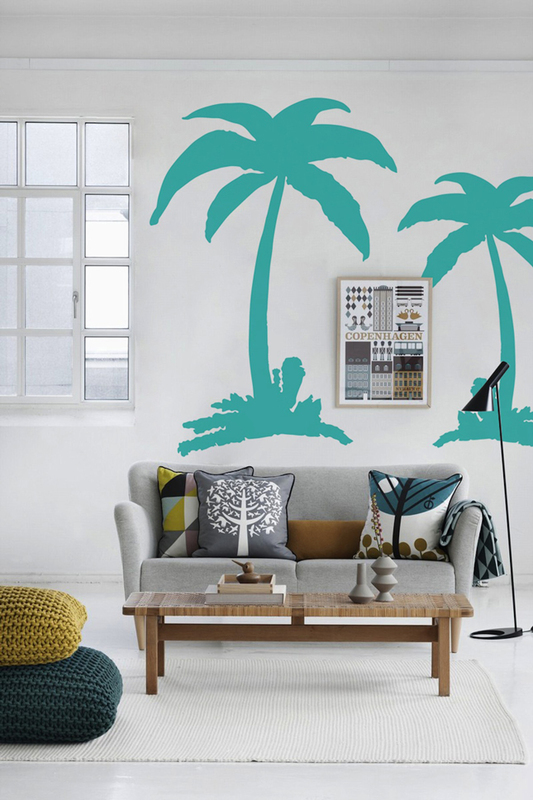 ', in times with wall murals, decals and other solutions these issues have been overcome. A young and thriving company called Pixers has made it their mission to fight sad and ugly walls mutilated by miserable copies of famous paintings and alike. 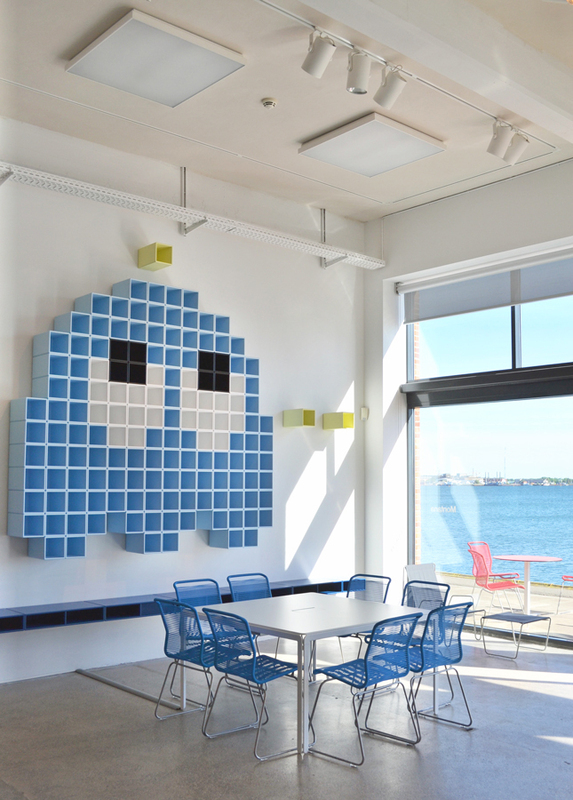 So they founded Pixers and today they offer thousands of wall murals, decals, posters and stickers to cheer up any wall. 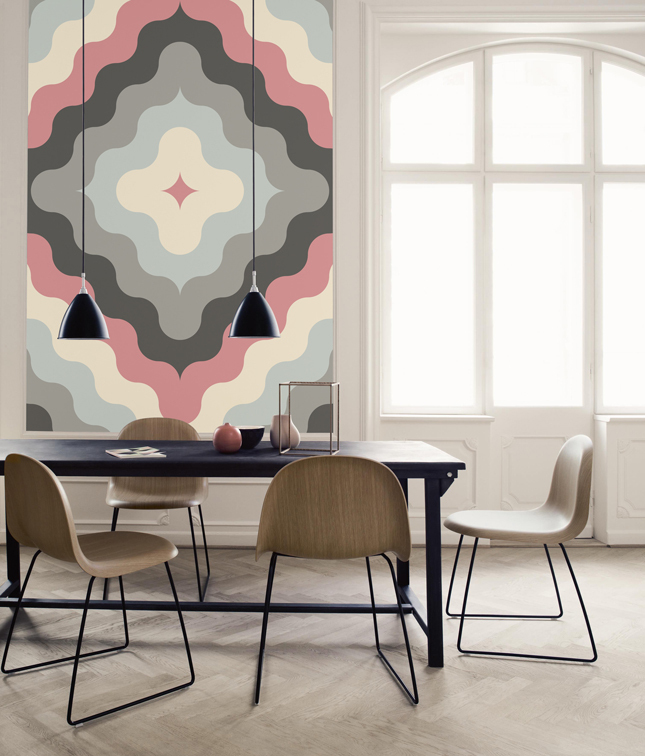 Currently, two new trend collections have been launched: PastelLOVE, inspired by the geometric shapes of modern design from the 70s. 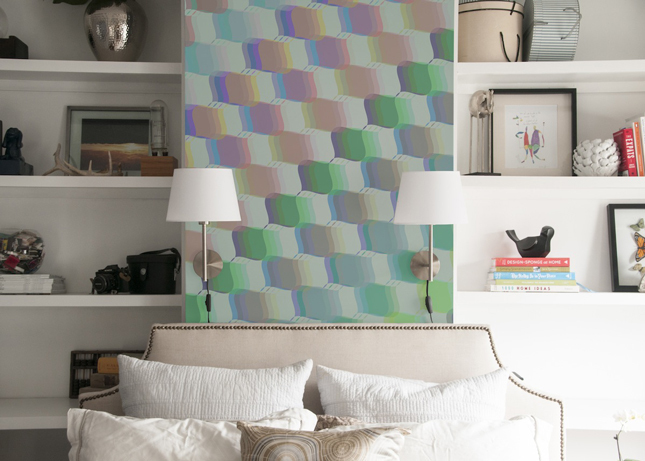 The patterns have been subsequently mixed with trendy pastel tints creating a vibrant effect. 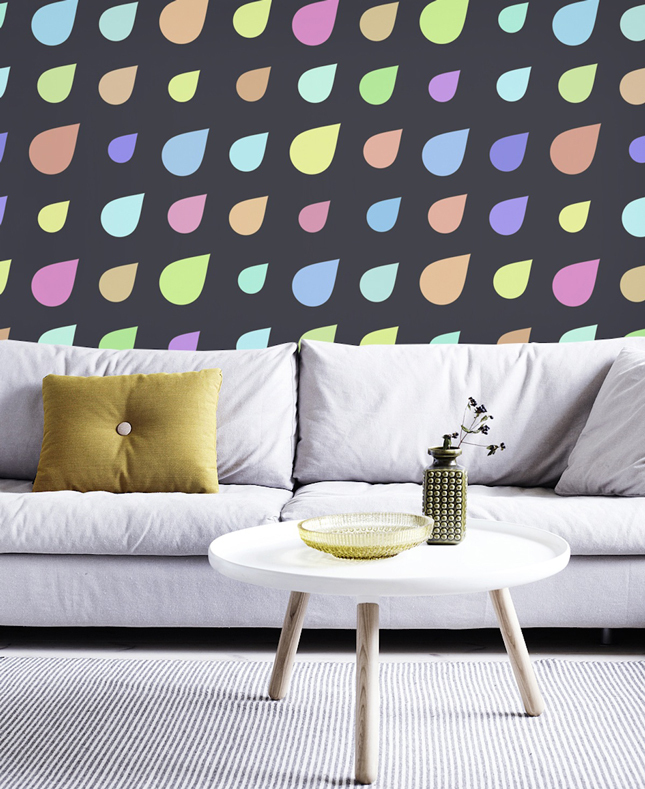 The second collection is called Neon Glow and encompasses wall murals and decals in vivid and flashy colours to create an atmosphere of crazy summer holidays (since there is no summer outside - at least here - this sounds pretty inviting to me). 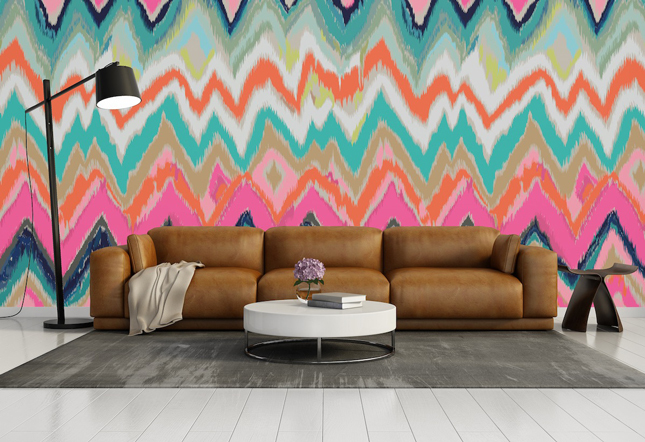 What do you think of those crazily funky designs? 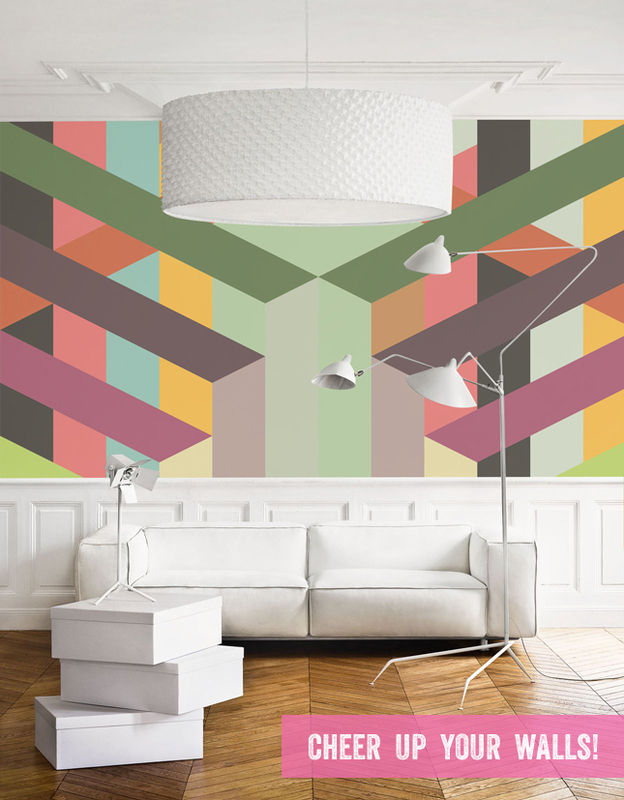 Would you be brave enough to cheer up a wall? 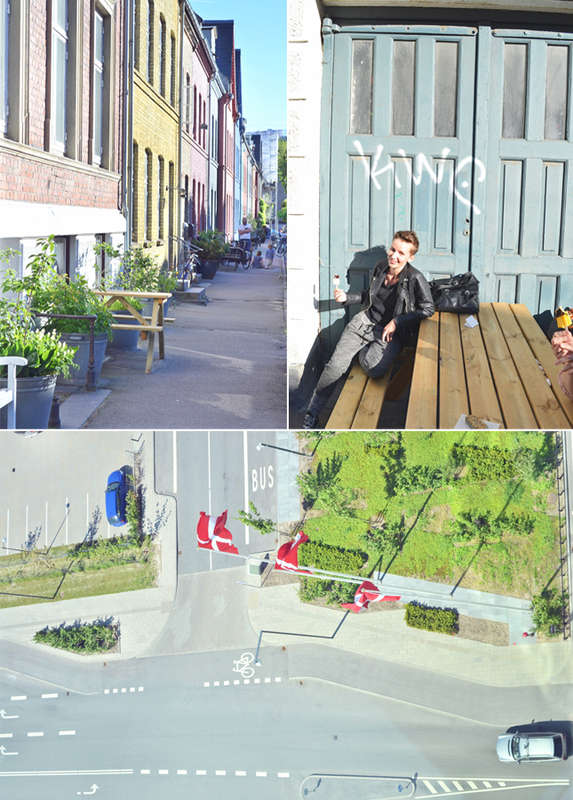 If you are a regular reader of my blog, you have noticed my Scandinavian adventures in Copenhagen as part of the 'Bloggers Universe' tour. I've always been a fan of Scandinavian design and interiors, but since my last trip I have thought and looked out for Scandinavian inspiration even more. 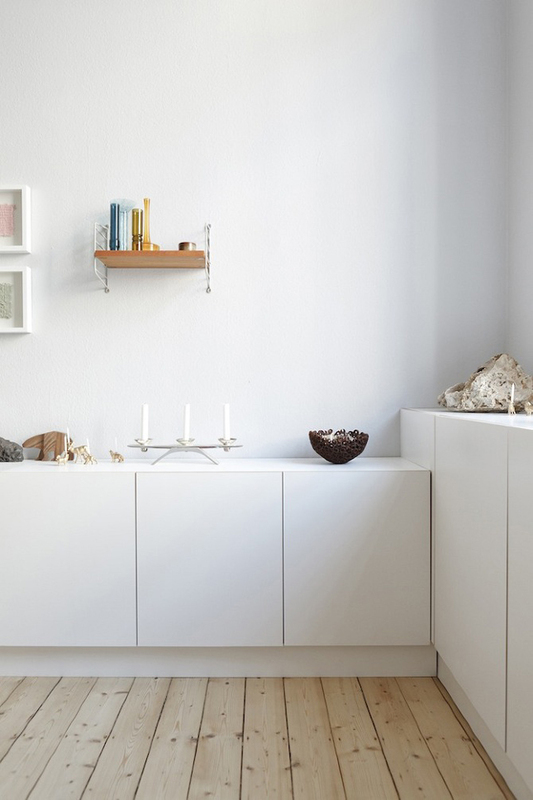 Today I want to share a bright Scandinavian style home in Germany. Step in! This absolutely stunning home is located in the German town of Wiesbaden, but it could easily be a home in Copenhagen, Stockholm or any other Scandinavian city for that matter. The dominance of white and wood perfectly sets the tone in this home. 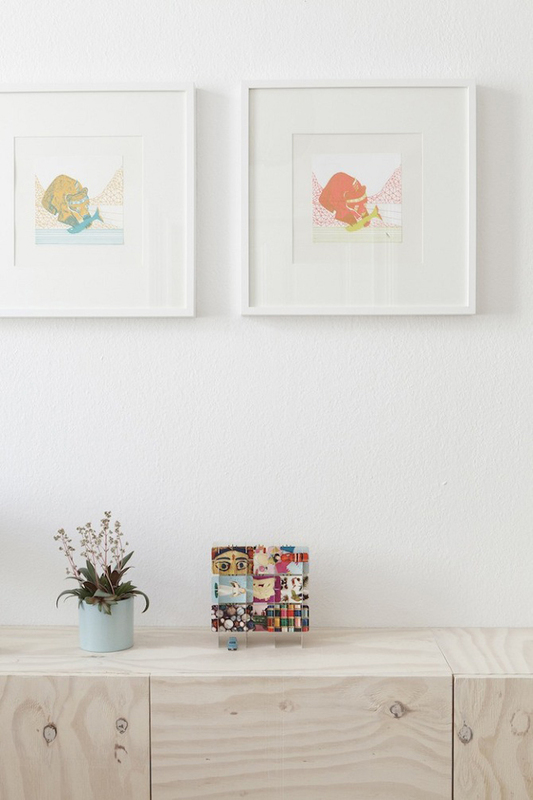 The entire interior design concept was created and executed by the German 'Studio Oink', a design studio run by two super creative minds, Lea Korzeczek and Matthias Hiller. The depicted home is part of a typical German 'Altbau' building which means it is a historical building with certain architectural specifications that have to be respected. 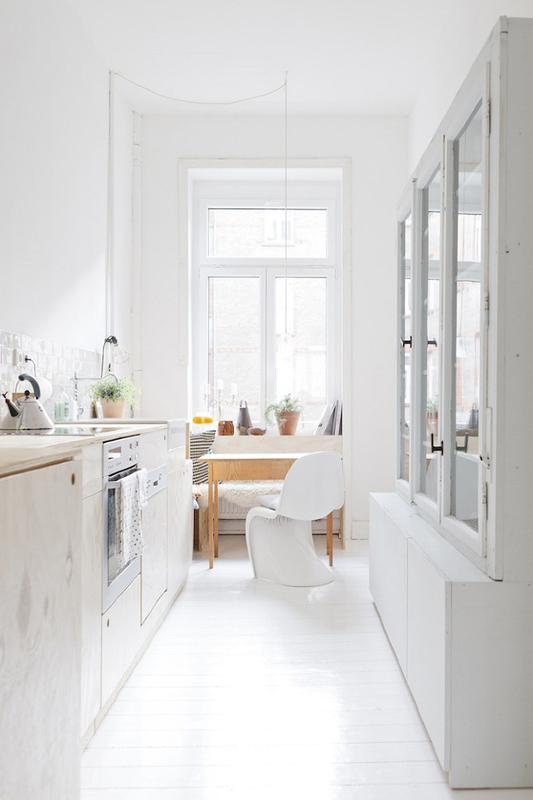 The owners contacted 'Studio Oink' and told them that they love the clear lines and inviting atmosphere of Scandinavian homes. This said, the designers started their endeavor by setting up the concept and then executing their ideas into reality. 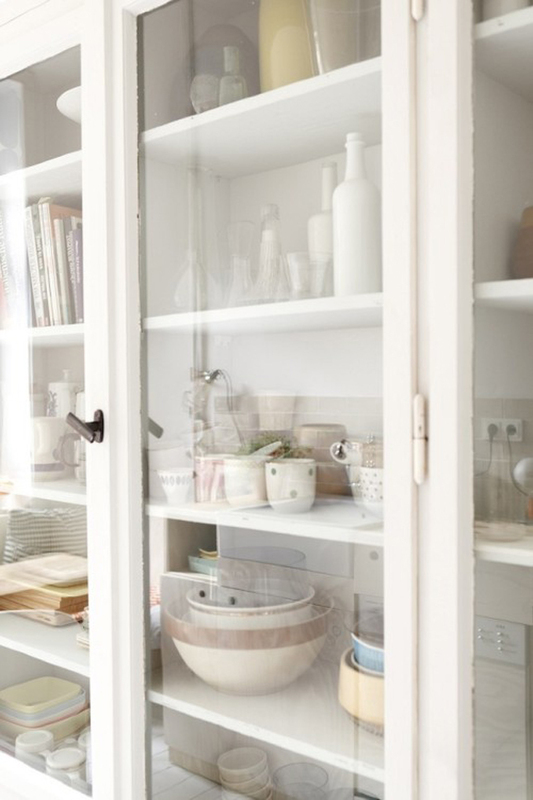 The old flooring was removed and the original planks came into action, custom made furniture units were designed and produced, vintage elements like the old window frames were reinterpreted as a kitchen cupboard for the owner's extensive ceramics collection. 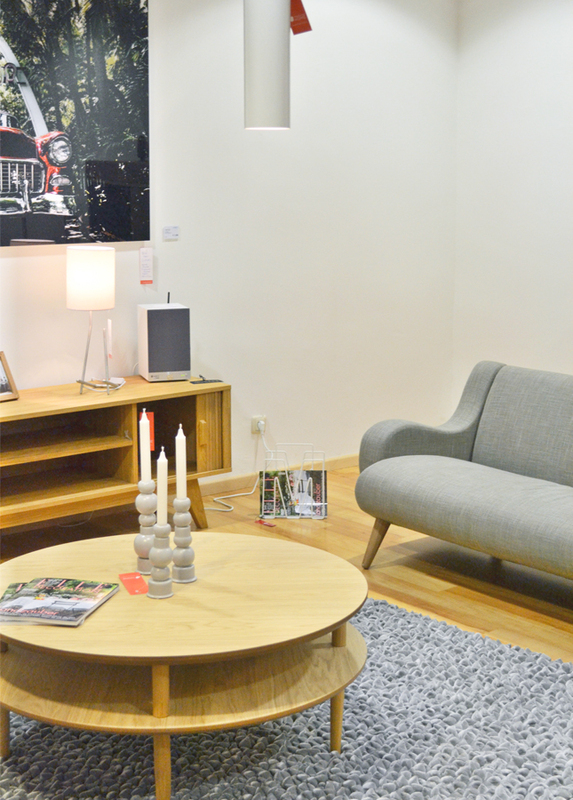 Smart storage solutions were carefully planned in order to guarantee an airiness which is typical for Scandinavian homes. No hanging cupboards were used, in order to highlight the wood and its structure, no handles were attached to the furniture. Every little detail was carefully considered and the result is simply breathtaking. This home is most certainly a very happy home. 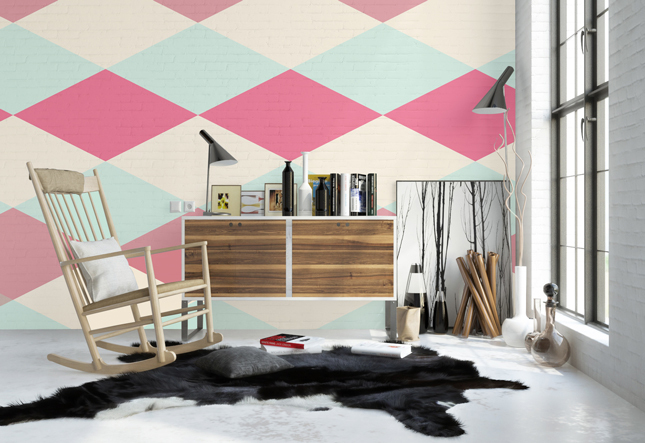 And it perfectly showcases the advantages of Scandinavian interior design. If you want to see more of this home, visit the website of 'Studio Oink' and see my blog post for the DesignTrade blog HERE. This week I am inspired by the airiness of minimalistic homes, the timelessness of natural materials, the quality of good design. I've browsed the net for five products that encompass those inspirations and here is a little selection of what I've come up with. 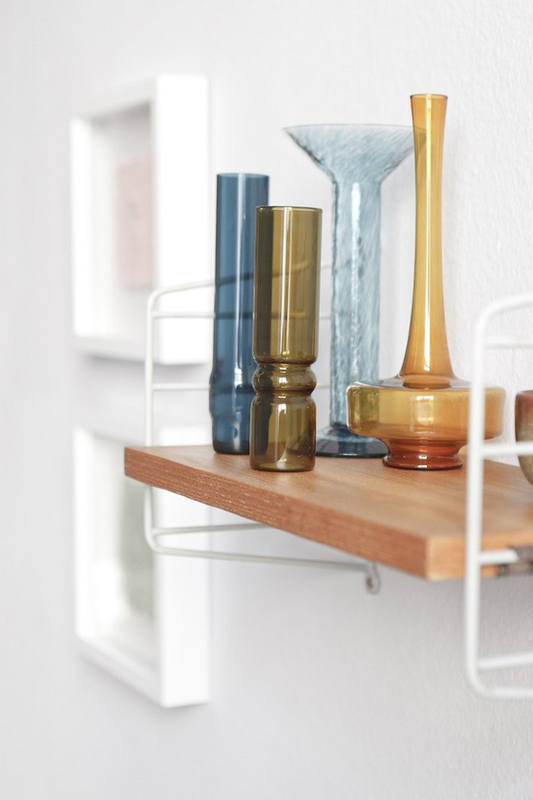 Looking at them grouped together they made me think of some sort of 'new essentials' for a happy home. You know, those things that seem so unpretentious cause they feel essential yet they are so precious and beautiful. 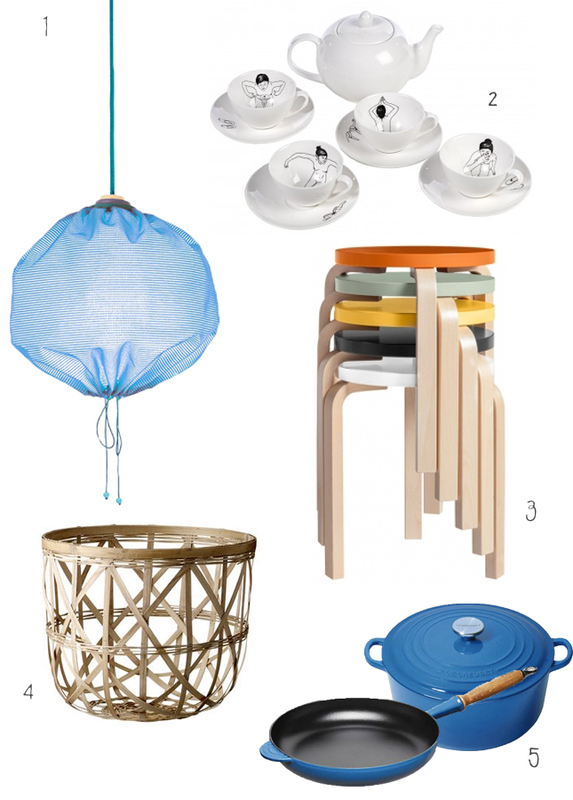 Oh, and that pendant lamp has gone way up on my wish list as of now! Which one is your favorite and on your wish list? Photography: 1. Drawstring lamp via Merry-Go-Round Shop; 2. Bathing girl tea set via Dutch by Design; 3. 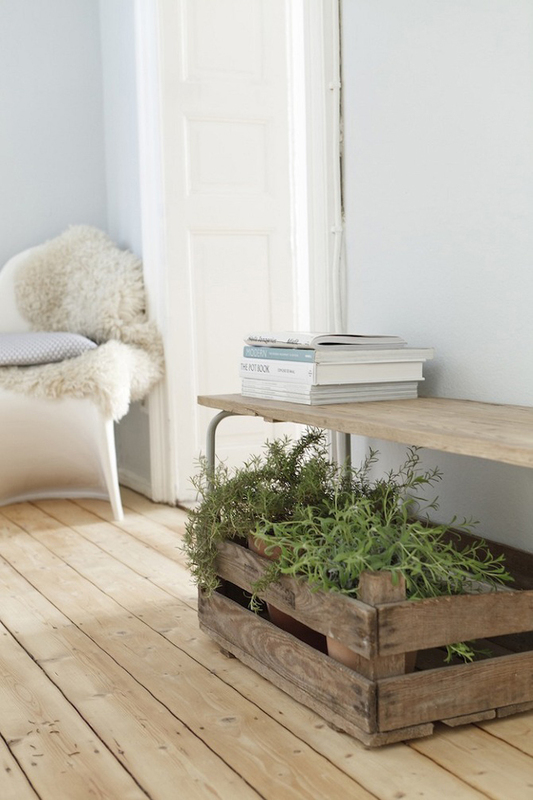 Aalto stool via Finnish Design Shop; 4. 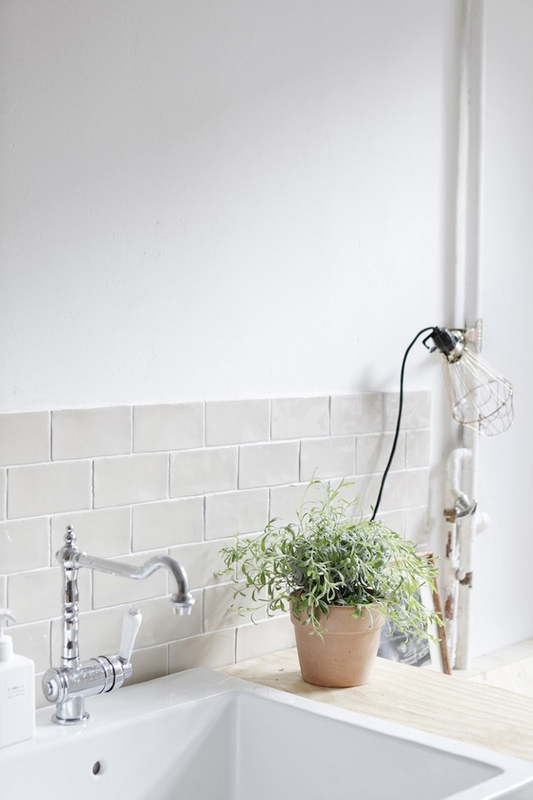 Bamboo basket via Design Vintage; 5. Pot and Pan by Le Creuset. Hello my friends! This Tuesday I have to skip the 'Why this room caught my eye' series cause I couldn't wait to share another highlight from my design blogger tour in Copenhagen: Our visit to the Norm Architects design studio where we were invited by the design brand &tradition. A healthy breakfast invigorated our physical powers, a little presentation and introduction to the latest collection of &tradition sparkled our visual powers and a styling session challenged our creative powers. The stylist Stine Langvad, who works for Elle Decoration in Denmark, was present too and gave us some professional insights into a stylist's life. 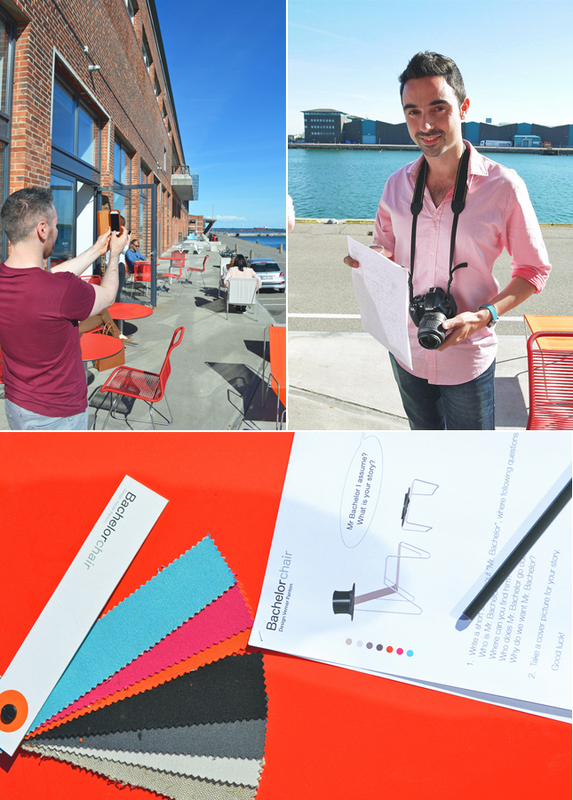 And the best: our final stylings were shot by the professional Danish photographer Rune Lundø! So when I had to come up with an idea for my styling I went through the offered props. I picked up the cool black Raft Stool NA3 by Norm, an exposed bulb on a neon pink cord, pink Washi tape and a few books. Plus I smuggled in some other 'not official' props like the leather jacket of Agata and a moustache cup from the breakfast table. I added the little bit of inevitable 'HAPPY' and voilà, my little styling was accomplished! Hope you like it! I think we all did a great job and I am so happy to be among some of the most inspiring bloggers in Europe! 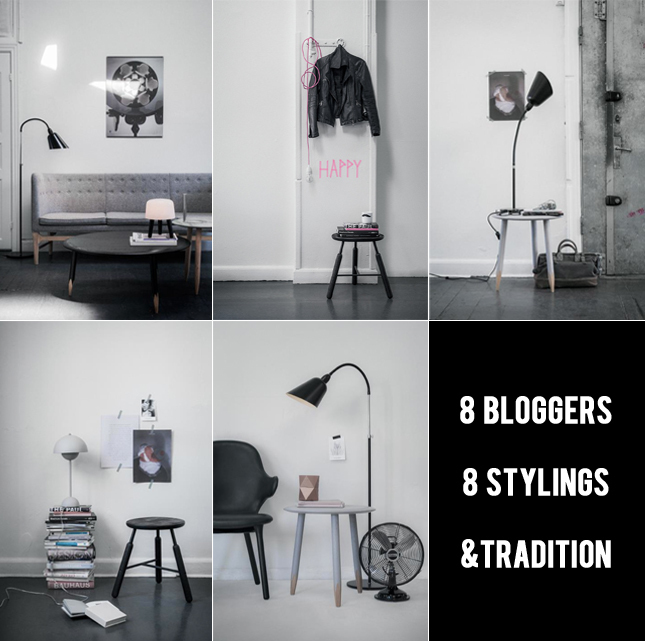 Today I am sharing my styling in detail, soon I will feature the others in more detail as well. Thanks again to &tradition for an amazing morning in Copenhagen! Hello back, friends! 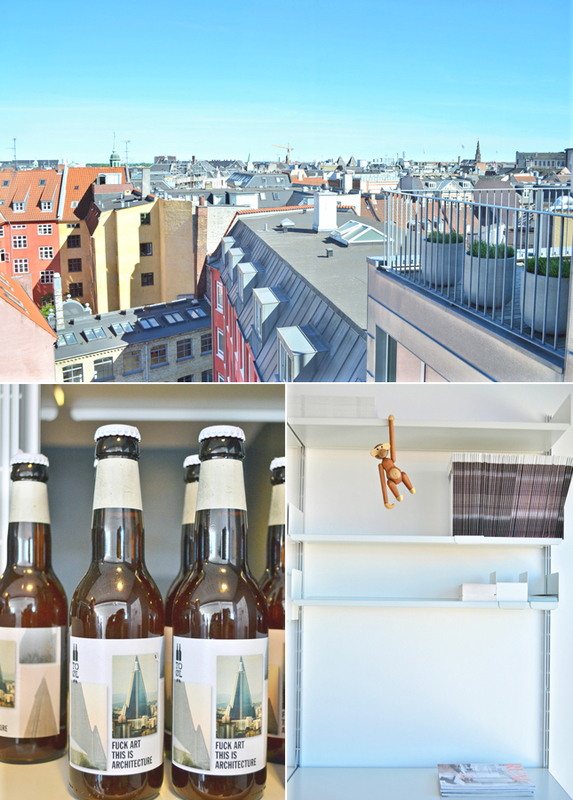 After last weeks part one, let us now continue with the design adventures in Copenhagen. 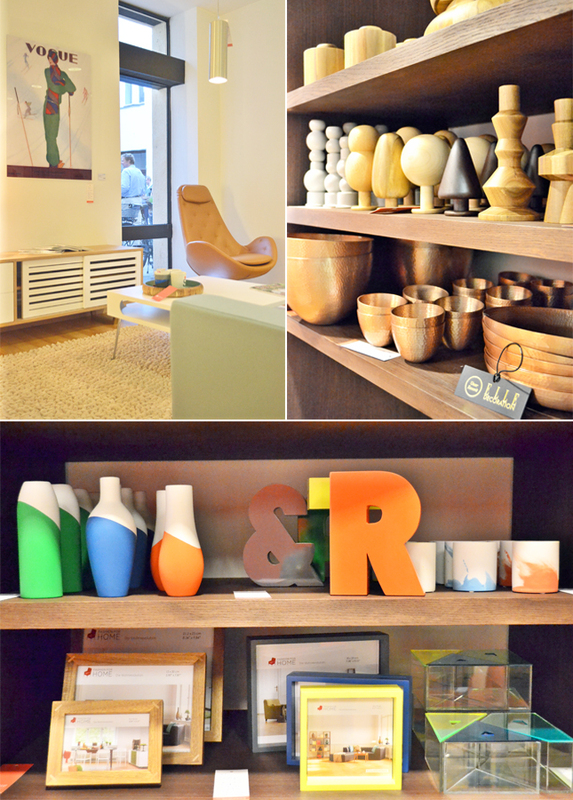 The 3-days design trip was marked by great interior design inspiration and a big deal of design bloggers fun. 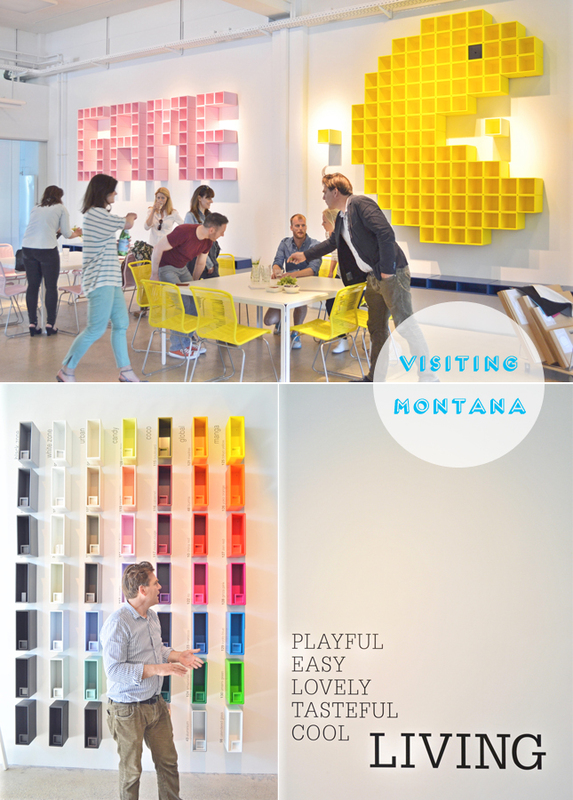 The first day included one more stop - we visited the showroom of Montana, a Danish furniture maker with designs by Verner Panton, Arne Jacobsen and more. We got a proper introduction to the iconic Bachelor chair by Verner Panton and were asked to write a little story about 'Mr. 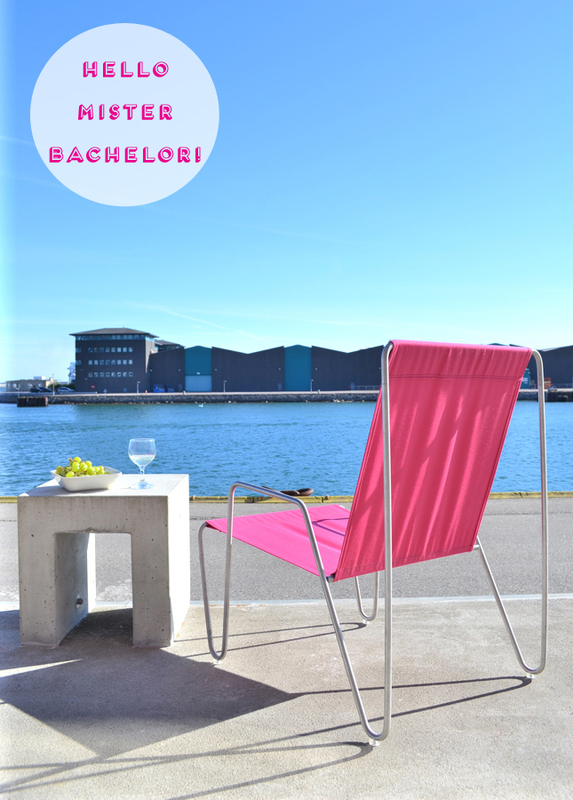 Bachelor'. Since I had finished the book 'The Great Gastsby' just a few days earlier, I was strongly influenced by it and imagined 'Mr. Bachelor' as a swanky young man, dandy-esque, enjoying life, the seaside, a good glass of wine and beautiful women. Moreover we were asked to depict 'Mr. Bachelor' with the chair, so these were my shots. After a vivid first day, we embarked on day no. 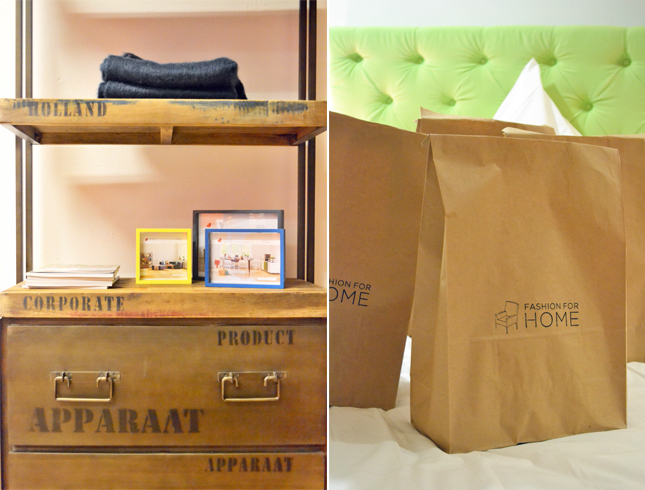 2 by enjoying a breakfast and styling session in the showroom of Vipp - I blogged about it HERE. 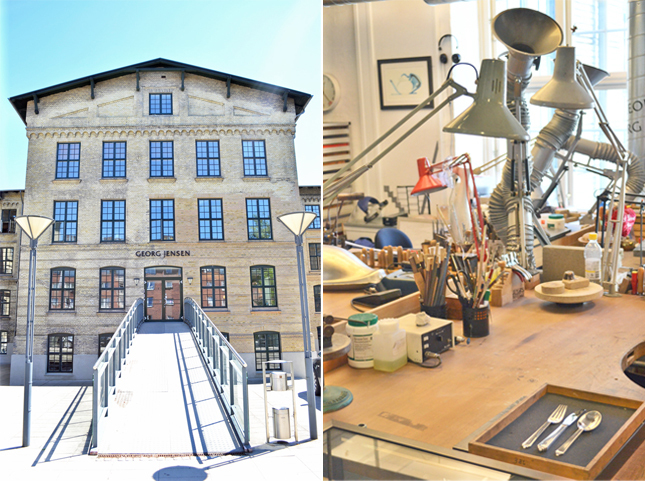 After a quick icecream stop we were driven to the headquarters and production facilities of the traditional Danish design brand Georg Jensen. We had a private tour and were introduced to the high quality production of silverware. 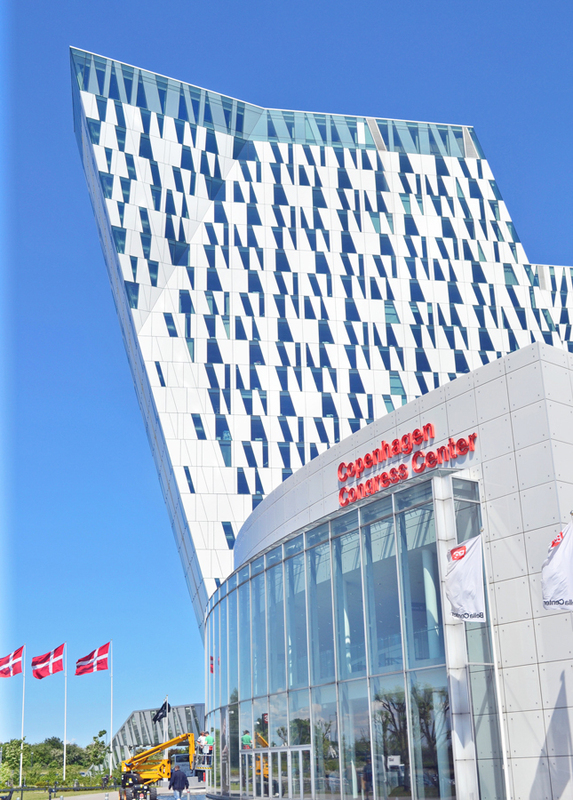 Following that, lunch was served at the Bella Center where the upcoming DesignTrade show will take place. 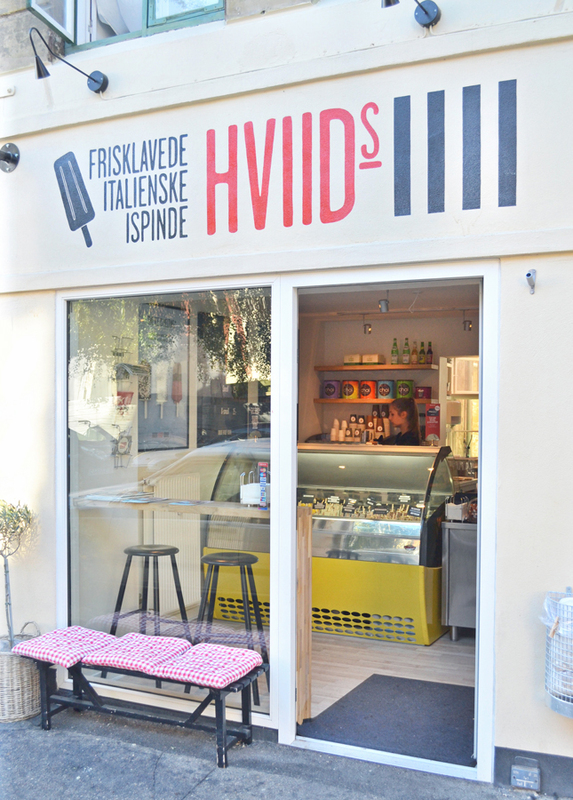 Later, a quick ice cream stop was squeezed in and we continued our design tour to the showroom of Vitsoe. 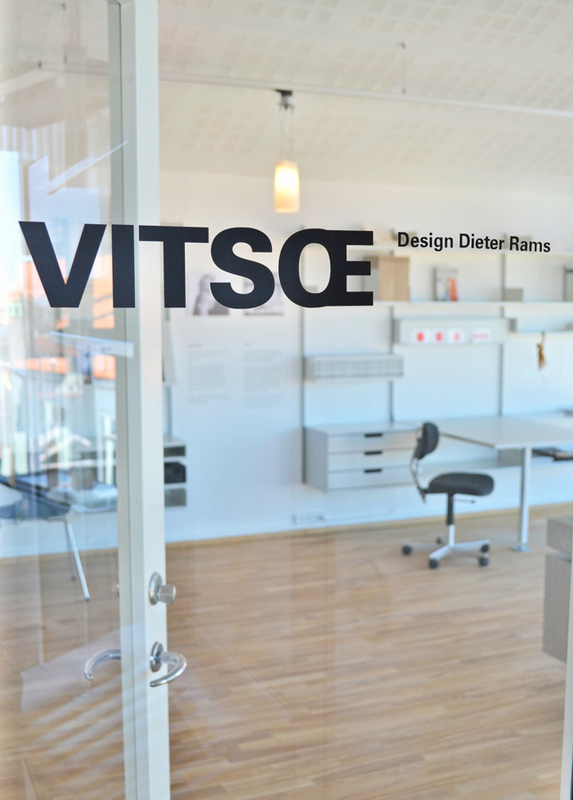 Vitsoe realizes the furniture designs of Dieter Rams and is known for its shelving system and design ethos for longevity in furniture design. A few funky drinks and splendid views on their balcony and it was time for dinner (yes, we were sort of eating all the time). And dinner was served in the incredibly cool and to-be restaurant Höst, designed by Norm Architects and styled by one of our design tour members, Emma. But I will blog about the restaurant in detail later. That's it for today, off we go into this Monday. 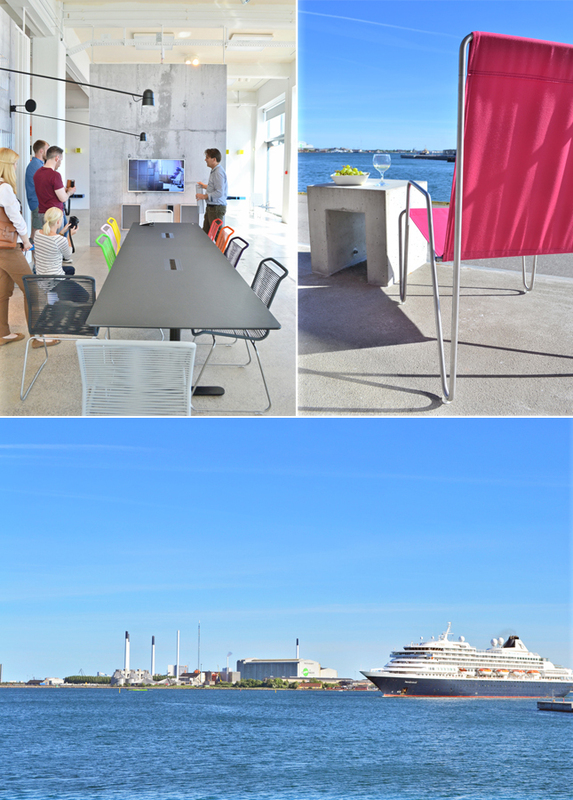 Next week I will round-up my design tour coverage from Copenhagen. Have a happy week! 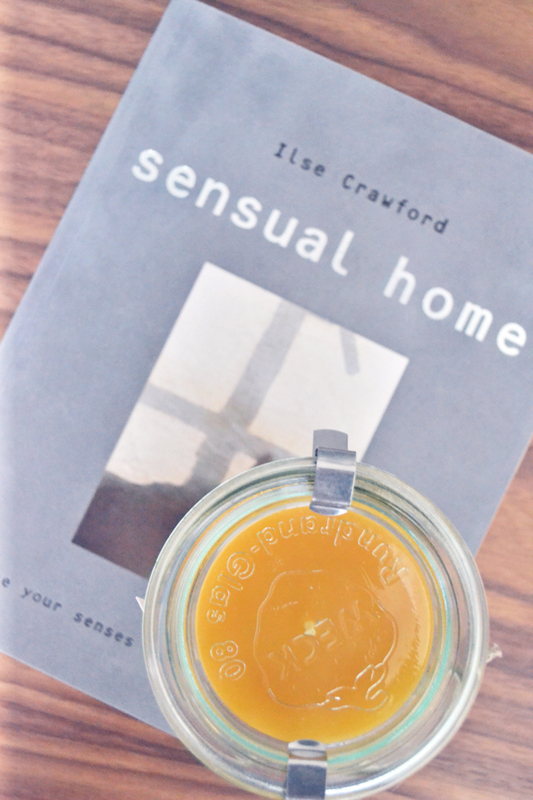 After yesterday's post about a sensual home, I want to share just four quick snippets of my happy home with you. I thought a lot about how sensual my home is and I think there's a great deal of sensual cues that I love at home. And these make my home a happy one. It's those little things: my cushions that make me smile, the green plants that purify the air in my apartment, the linen sheets that are a sensual highlight to my skin, the funky disco ball that makes my home glitter when the sun shines, the scent of fresh flowers…it is a delight for the senses! Here's to our happy homes, friends! 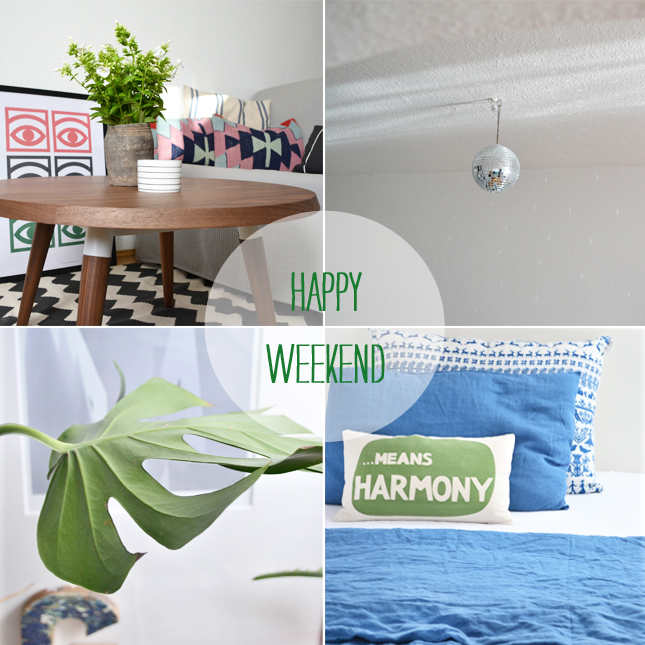 Have a happy weekend! Home is our emotional heartland - a place to restore our balance. Home is your corner of the world. Time to be slow, time to dream, time to read. One of the biggest luxuries in modern life is unscheduled, uncommitted time. Defend it fiercely and value it. It's not wasted. Your brain needs it to come up with new ideas. These phrases are penned by Ilse Crawford, the founder of the British Elle Decoration and design connoisseur par excellence. She wrote these lines back in 1997 for her book 'Sensual Home' and they seem to be more valid nowadays than ever before! Truth be told I wasn't familiar with the book until I read THIS article by my London based friend Tina. I was intrigued and ordered the book shortly after. 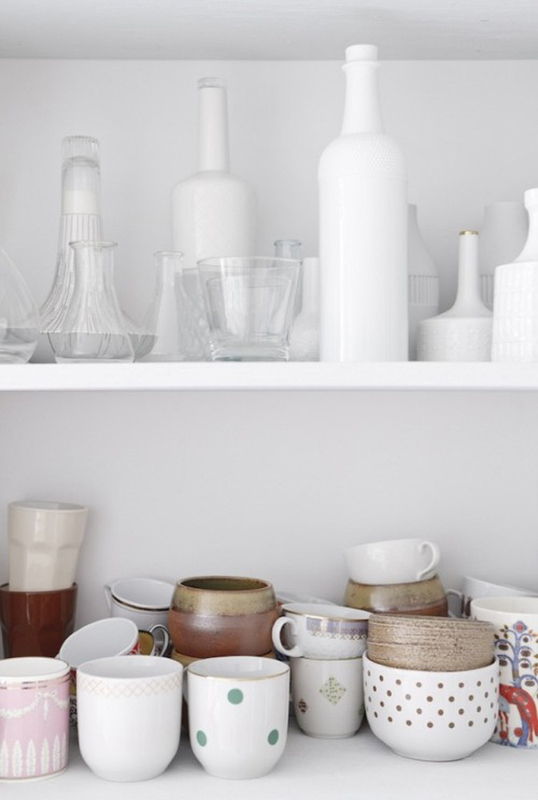 You know that my concept and life motto is that we all need to add more happiness to our homes. If you are not happy at home, where will you be? 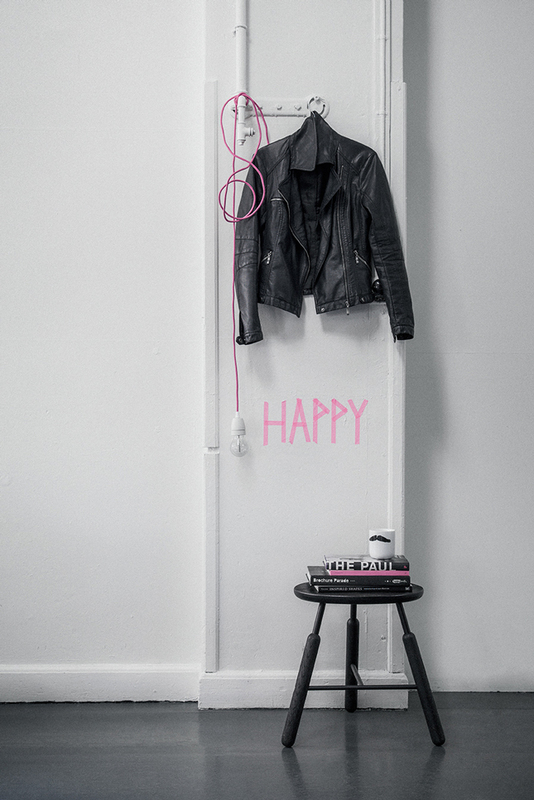 The notion of happiness is a very personal one. But no matter what happiness means to you, it will always involve your emotions and your senses. Pay attention to your senses when you are at home. What makes you happy? A certain sight? A specific scent? 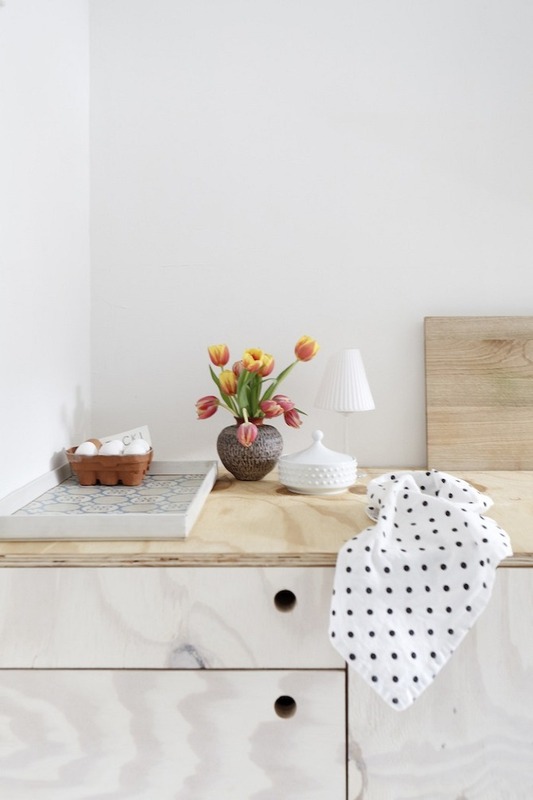 The haptic in your abode? The audible cues when you walk bare feet over your wooden floor? Most probably it is a mix that speaks to all your senses and makes this not only a visible but rather 'feelable' notion of home and happiness. 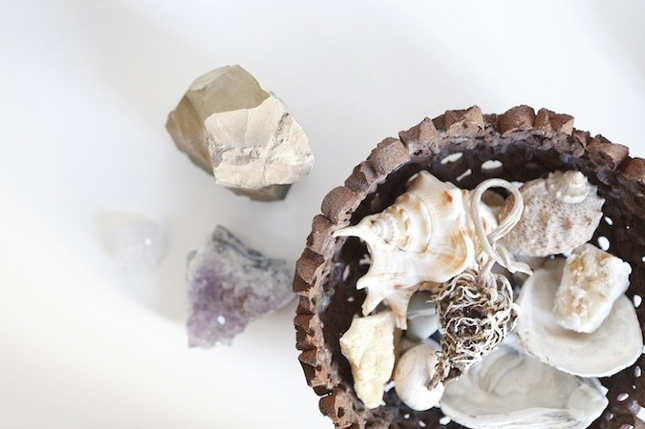 Reading this book means experiencing your home with all senses at the same time. 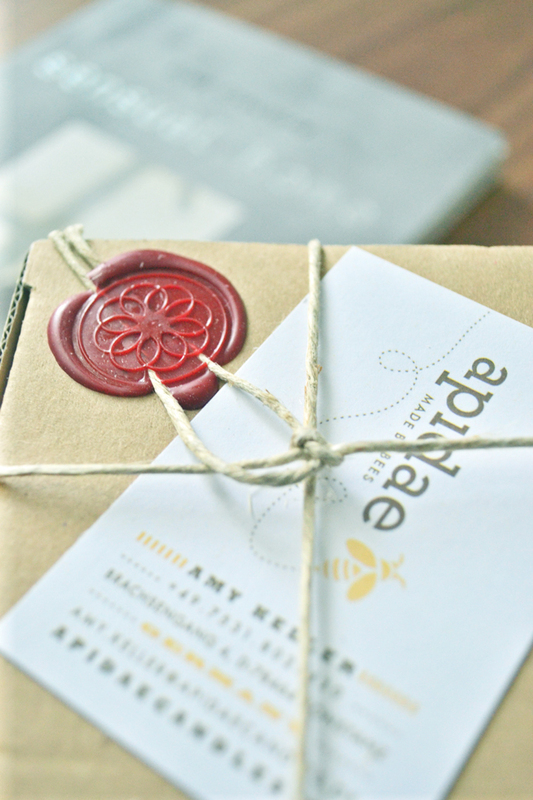 A few days ago I received a 100% natural beeswax handmade candle. This was the right moment to light it for the very first time and take in the delicate odour of a product coming from the nature, put in shape by human hands and lit to make my home feel warm and cosy. This resonated perfectly with the book speaking of a home detox and the importance of purifying the air we breathe and thinking of natural odorants and purifiers rather than those artificial air fragrances. The book takes you on a sensual journey with the mission to liberate your senses. It not only speaks of smelling but also of hearing, comfort and textures, touching, the sight, light and shade and taste. Reading chapter by chapter I started looking for those cues with my senses more consciously than ever before. Styles come and go, but beneath them all are fundamentals that speak to our senses and trigger emotions in us. It is more than there is to see! 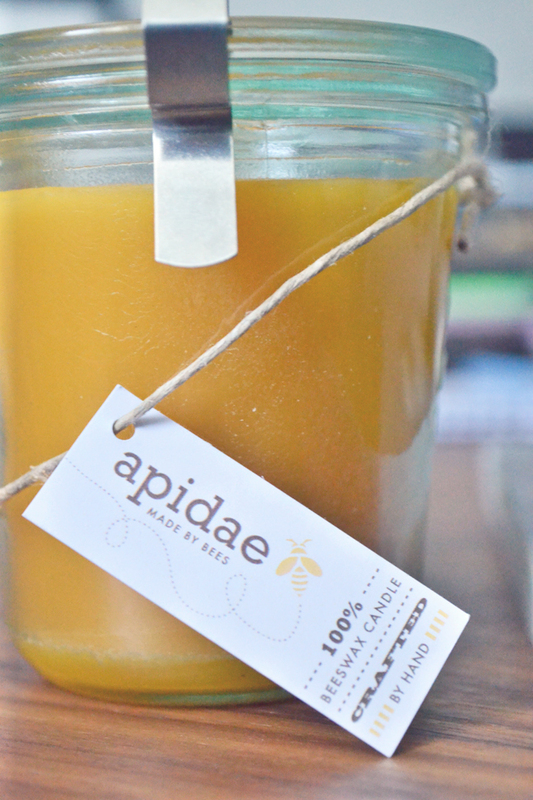 A big thank you to Amy from Apidae Candles for the wonderful natural beeswax candle in a Weck jar. 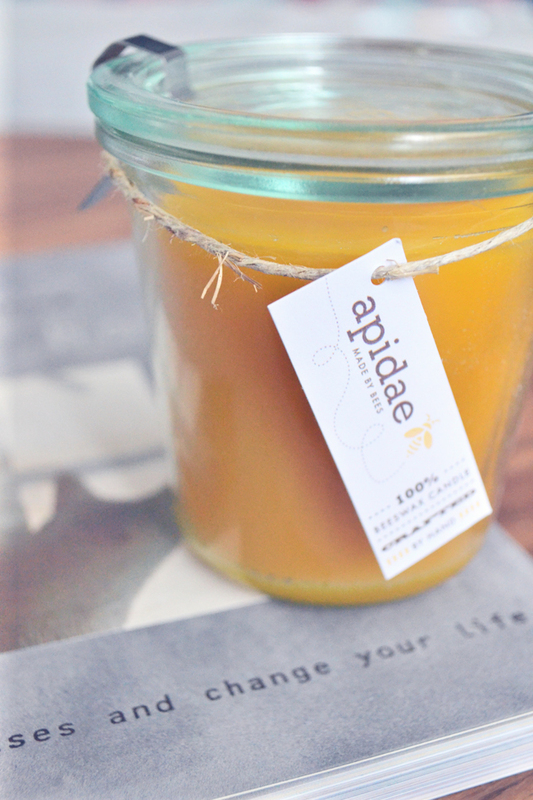 Check out her handmade candles in Weck jars, sake cups, wine bottles and more. Oh, and feel the happiness in your home! Hey friends! Let me just tell you that I am typing these words on my sofa, window wide open, fan placed directly in front of me in full speed and I am sighing - after an entire month of rain (at least it felt like that) we are now in the midst of a heat wave with temperatures reaching 35 degrees Celsius and above (that is like 95 degrees Fahrenheit). Hence, my rooftop apartment has turned into a boiling terrarium and my succulents and cacti seem to feel very much at home. Unlike my body. Luckily, I was in the happy position to follow a few press invitations over the last few days and evicted my home for some interior design fun. 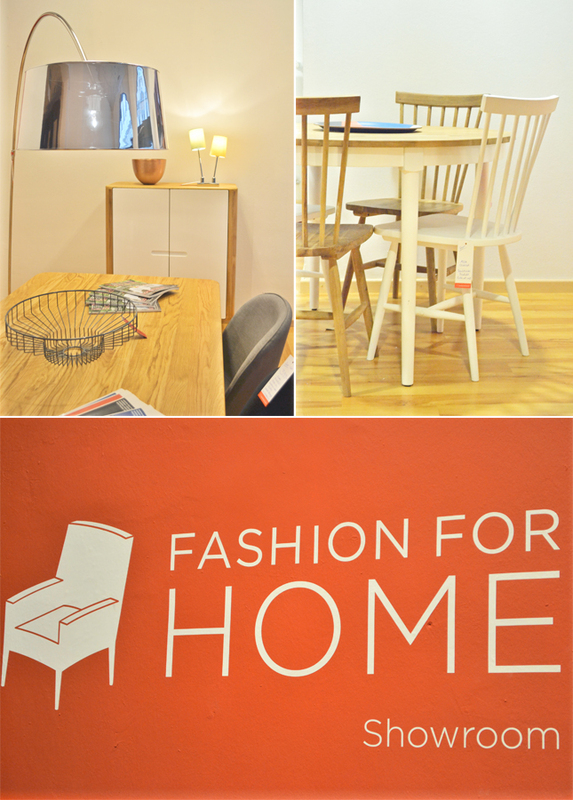 Last week I was invited by the design furniture online shop 'Fashion for Home' to attend the press opening party of their Munich showroom. Some of you know that I myself have a beautiful coffee table from 'Fashion for Home' in my home and love it dearly - I blogged about it HERE. So I was pretty happy to avoid my terrarium and roam a fresh and new showroom instead (with chilled drinks in my hand). The opening party with 150 guests was kicked-off with a speech by the two young founders Marc Appelhoff and Christoph Cordes and the deputy chief editor of the German Elle Decoration. After the official speech I used the opportunity to chat with the founders and I was super surprised to learn that they founded the company a mere three years ago and the idea was born in what I would refer to 'happy home' - it was their shared apartment where they realized that the market needs an online shop offering design furniture 'on demand'. The German company runs now online stores in the UK, the Netherlands, Austria and the USA, too. What a great success for two young guys (sort of my age!!). The event itself was very easy-going and relaxed, lots of chitchatting, meeting other blogger friends like Anette of 'Look! Pimp Your Room' and fresh drinks. Since I was juggling too many things, I hardly snapped any pics. Moreover, the lighting was more than uncharming to my camera so sorry for the poor photo quality. 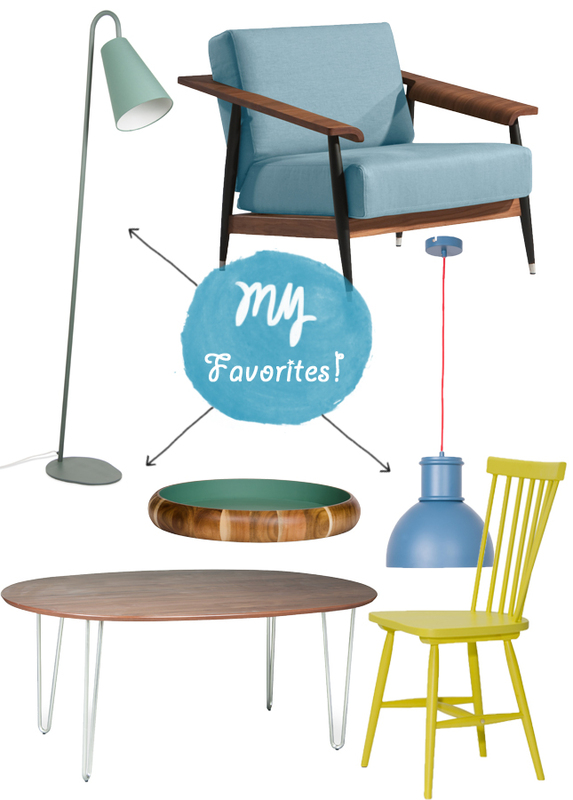 Oh, and I've put together some of my favorite pieces from their shop. A fine retro vibe, don't you agree (yes, the yellow chair was inevitable LOL)? Happy Thursday! 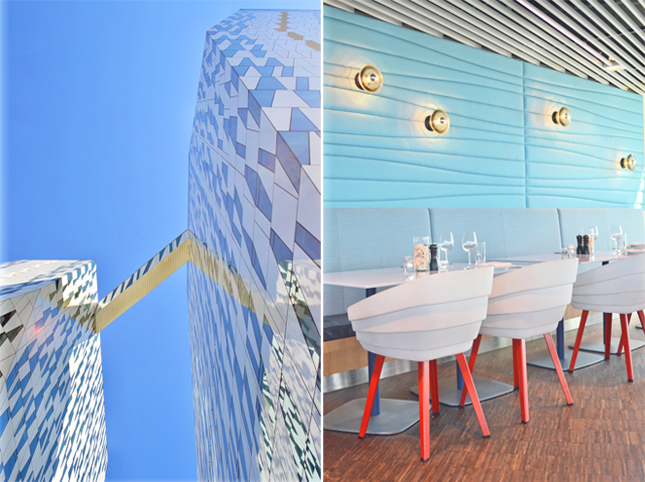 From Place To Space: Hello Côte d'Azur!